Today I am lucky enough to share a very exciting blog post with you all! I add a chance to chat to Hélene Fermont and ask her some questions about her new book, her writing process and how she balance work and writing (something I am certainly struggling with at the moment). 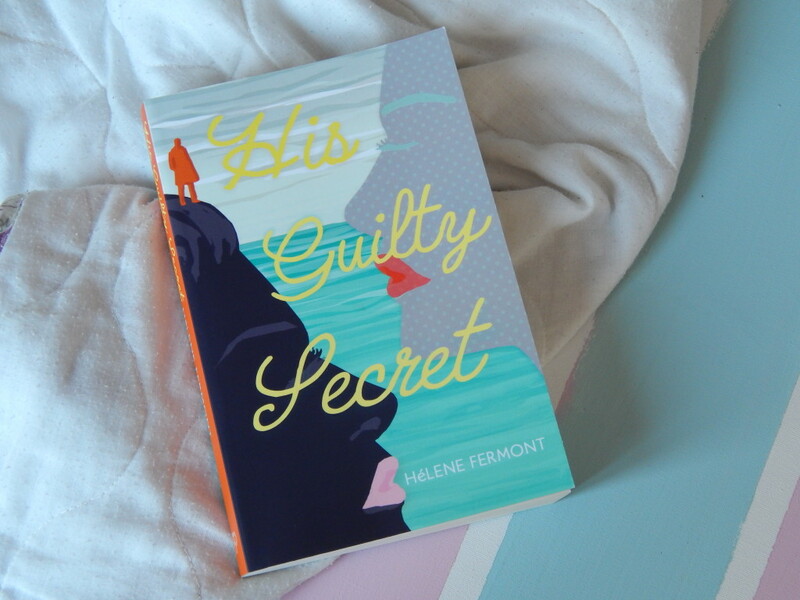 Hélene has just released His Guilty Secret, her third novel. It deals with loss, grief and the devastating effect of lies. It centres on Patricia, who is left reeling after her husband’s death. Not only does she have to adjust to life as a widow, but she quickly realises that Jacques had his own secrets that she is now desperate to discover. Hélene Fermont also works as a psychologist, which adds an extra dimension to her writing. I was very interested to hear what she had to say about writing. Shall we go ahead and get stuck in with the Qs and the As? His Guilty Secret is packed full of hidden emotions and lies. It deals with love, death, betrayal and souring relationships – that’s a lot to fit in one book! Where did the idea come from? I’ve got many ideas for books! Predominantly, His Guilty Secret is a novel that centres around secrets and lies which cause much devastation to the people affected by them. It also centres around one man’s inability to commit to one kind of life and partner. Betrayal comes in many different shapes and disguises yet have one thing in common: The breakdown of trust and issues associated with it. I see a lot of this in my daily line of work and lots more. It’s important to me to create realistic characters and situations people can relate with. My characters are fictitious and the various complex ideas/situations are part of daily life. I simply draw from my experiences as psychologist and life in general. As well as being a novelist, you are a practicing psychologist. How do you manage to balance both careers and your time? Writing is my passion. I enjoy juggling a job and writing my novels. Usually early mornings and late nights – I write whenever I can, between clients and on flights, etcetera. If there is a will there is always a way! Publishing is not my area and I want to focus on the novel(s). Fortunately for me, I’ve got a publisher that deals with it. Writing and publishing a book is hard work; how did you go about it? I use whatever time I’ve left after work, early mornings, holidays and write in my native Malmö when I’m there. I readily admit it can be quite demanding to work and write but I love my job and get to meet so many amazing people. Writing is my personal time so to speak. Meeting and treating clients can be very full on. It’s great to be able to write with just my cat and the computer and no distractions! I guess I’ve got the best of both worlds. Also, I’m very organised and always ensure I spend time with my family who are very pleased I get to do what I enjoy which goes both ways. It is clear that character is important to you as a writer, particularly in terms of authenticity and relatability. How do you craft such characters and why? My characters are key to everything I write. I work extremely hard to create authentic and relatable protagonists that readers can empathise with. Of course, the story line matters a great deal and I devote much time to getting it just right, and write several drafts until I’m happy with the final product. For me the characters are what make a story special and memorable. I’ve always been interested in why people act and behave like they do. Especially when placed in situations which are out of their control/comfort zone. After all, everyone’s a ‘product’ of our background and experiences. My characters represent a variety of people, albeit slightly more flawed. His Guilty Secret doesn’t shy away from the ‘big issues’ and questions of morality. Why are these so important to your writing and how do you handle them? As a native Swede, I grew up with realistic dramas and documentaries that inspire(d) me to write in depth and complex characters that are identifiable, exciting and colourful. They just appear in my head and I can visualise them like a cast in a drama or film. It’s the reason dialogue is so important as readers will be able to feel part of the story and my characters tribulations and happy times. I handle writing different types of protagonists with all kinds of traits and dilemmas because that’s life in all its glory. I also nearly always attempt to write a happy or open ending because I love positive and optimistic outcomes as long as they’re compatible with the novel content and subject themes. Thanks so much for getting involved Hélene ! If you are interested in reading His Guilty Secret, you can find a trailer for the book here. P.S I was sent a copy of this book as part of the blog tour but all opinions are my own.